Reporters from several major news organizations were denied access to a Donald Trump event in Scotland on Saturday. Staffers from BuzzFeed, The Washington Post and The Guardian tweeted about being blocked from attending Trump's visit to his golf course in Aberdeen, Scotland. BuzzFeed's DC bureau chief John Stanton said he and the Post's Jenna Johnson had been "thrown out of Trump's Aberdeen golf course." 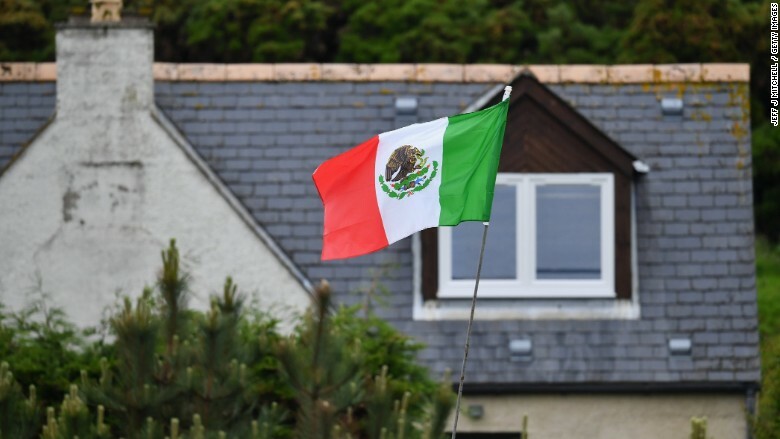 He posted a picture of what he could see from outside -- a home belonging to one of the golf course's neighbors who was flying a Mexican flag to express disapproval of the presumptive GOP nominee. This photo shows one of the homes that neighbors Donald Trump's golf course in Scotland. Trump's campaign has repeatedly turned down requests for press credentials from BuzzFeed and several other news outlets while giving credentials to most other journalists. Critics say this highly unusual behavior by a presidential campaign -- a "blacklist" -- has a chilling effect on the entire press corps. 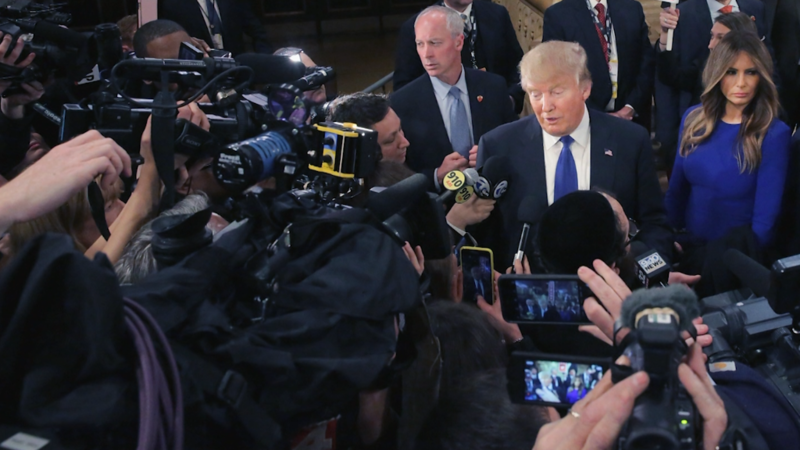 Related: Is Donald Trump relaxing his media 'blacklist'? In this case, it is unknown whether Trump's campaign or Trump's golf course put the restrictions in place. A campaign spokeswoman did not respond to a request for comment. David Martosko, a reporter for The Daily Mail, tweeted that security at the golf course "has penciled in at the top of the press list: 'No Guardian or Buzzfeed.'" Ewen MacAskill ‏of the Guardian, who was able to attend a Trump press conference on Friday, said he was turned away on Saturday. "Staff say not on list, not accredited, car park full and marquee full," he tweeted. Some of his colleagues surmised that this was because Trump called MacAskill "nasty" on Friday. The Washington Post ban is relatively new. Trump said he did it because the Post published a false headline about him, among other reasons.